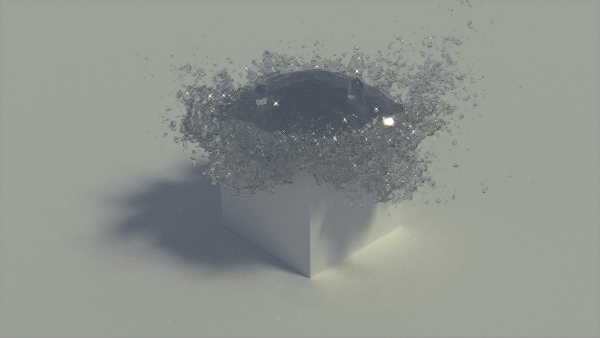 For this animation I created a particle simulation with fluid particles emitted from an icosphere. 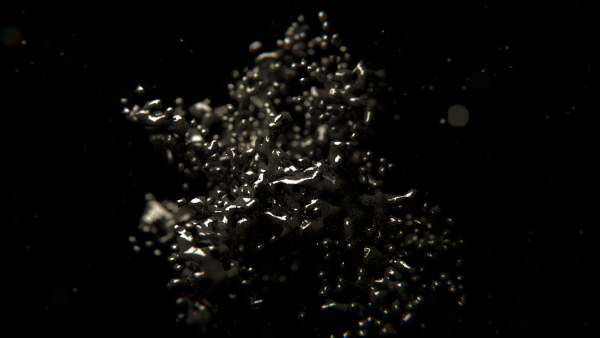 The particles are emitted along the y-axis and hit a forcefield, with the flow parameter set to 0.1. 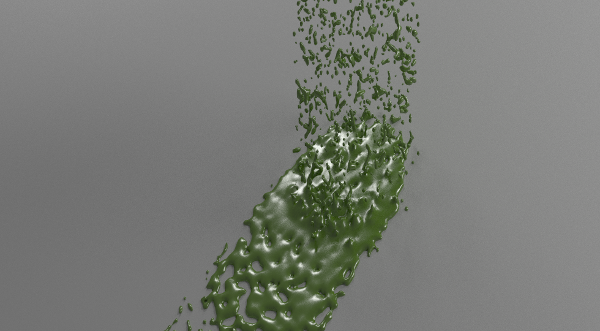 I used the cubesurfer addon by pytoevil to create a mesh from the particles. 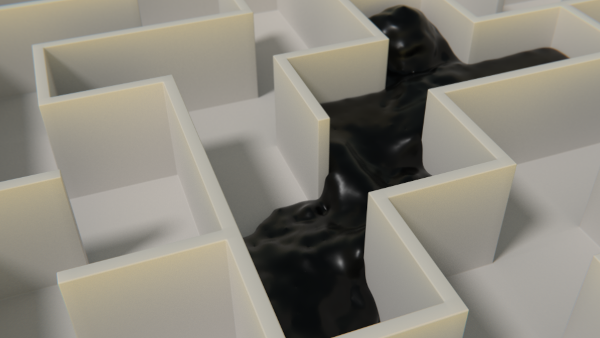 I have created some animations using the fluid simulator in blender before but this experiment is the first one I really like. 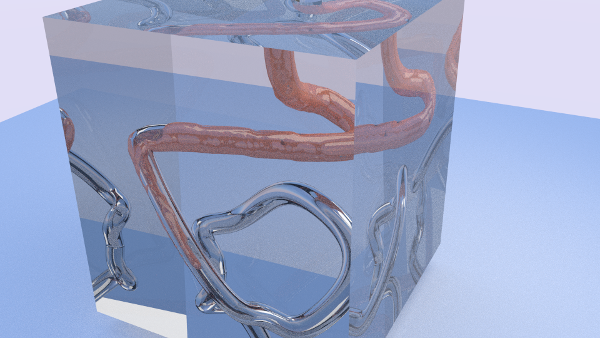 The material is a mixture of a glass node, a transparent node and a glossy node. 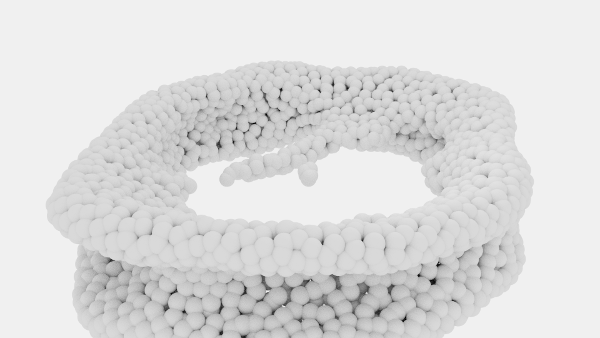 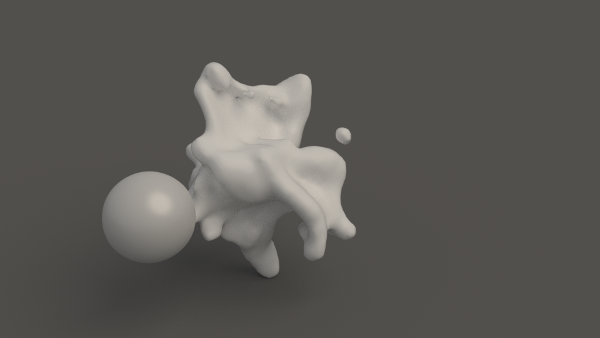 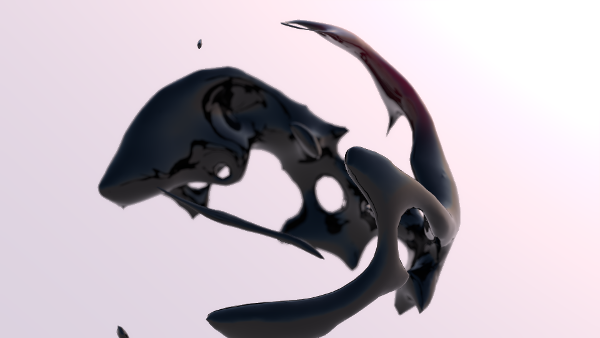 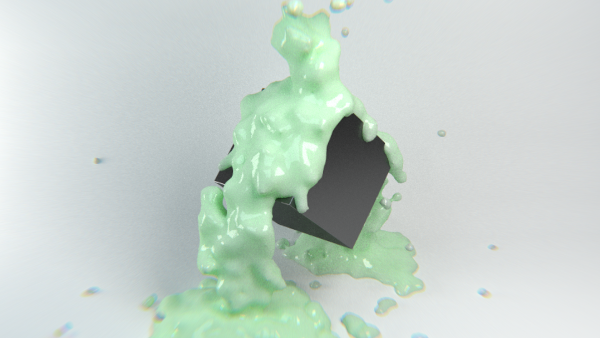 The fluid was rendered with a resolution of 300 and a subdivision of 2. 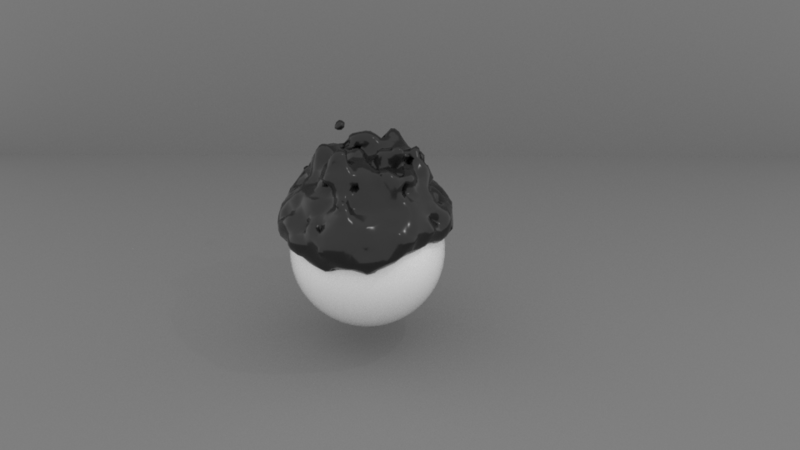 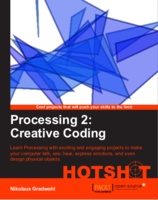 If you want to render it your self - be warned it takes some time.